Ethiopia has little time for critics of its large-scale land-leasing policy, insisting the millions of dollars of foreign investment will create jobs, improve domestic agricultural expertise and reduce both poverty and the country’s chronic food insecurity. The policy, part of a five-year Growth and Transformation Plan, has led to the cheap leasing of thousands of square kilometres of what the government says is mostly under-used or uncultivated land. Officially, land in Ethiopia is government-owned but occupants have customary rights. Detractors complain of forcible relocation of local pastoralist populations, poorly paid work on the new farms, environmental degradation and a failure to deliver on promises of better infrastructure. “I know [this] is a very controversial and hot issue at the global level. As far as Ethiopia is concerned, we don’t see it as a threat because it is smallholder agriculture, which is the driving engine of the agricultural development in this country,” Minister of Agriculture Tefera Deribew said at a recent press conference. “We want to expand large-scale farming in areas where we have ample arable land without affecting farmers living in those areas. It will definitely support the development of smallholder agriculture,” he said. The ministry’s head of agricultural investment, Esayas Kebede, told IRIN: “We hope that big commercial and intensive farms will solve the shortage of food in Ethiopia,” where 2.8 million people are expected to require foreign food assistance in 2011. In at least one of the deals, a 10,000 hectare rice farm in Gambella leased by Saudi-Ethiopian investor Sheikh Mohamed Al-Amoudi, 40 percent of production will have to be sold on the Ethiopian market. But rice, and many of the other crops set to be produced on such farms, is not widely consumed in Ethiopia. The government and investors further maintain that the relocation of thousands of people in rural areas is unconnected but part of an entirely separate and voluntary “villagization” project designed to improve access to basic amenities. “We haven’t evicted pastoralists from their farmland or prevented them from accessing the river,” Birinder Singh, head of marketing and logistics of Karuturi Agro Products, told IRIN. This Indian company has leased some 100,000 hectares of land in Gambella, a sparsely populated region in the west of Ethiopia where hundreds of mostly foreign companies are investing in agricultural projects. “That [eviction] is not our intention. We would like to hire as many people as we can on our farms and would like to be competitive in the global market,” Singh told IRIN. 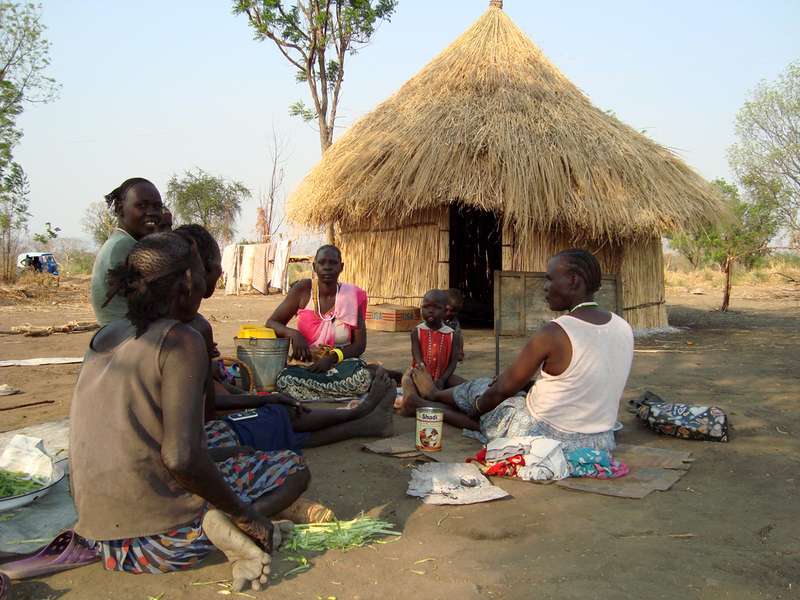 “We were not told that our land will be given to foreign investors,” said Ujulu, who used to live with his seven children on the banks of Gambella’s Baro river in an area now being developed by Karuturi, and who was recently relocated to a new village, several hours’ walk away. “What I know is government promised us new schools for our children, health clinics, and clean water if we are to be included in the villagization programme. That is why I came to this village three months ago,” he said. A health centre was under construction when IRIN visited. “We are pastoralists. How can we stay here for more than three or four months?” asked one villager. “Karuturi and the government promised us that we will get better jobs, better living conditions but so far they have done nothing other than taking our land and driving us to severe poverty,” he added. “My community doesn’t hate the foreign companies [Karuturi] here. But we want them to be [responsive] to our problems as they have taken our land and our promises are not fulfilled,” he said. “They are paying us very little money 12 birr [US$0.73] a day. When Karuturi Farms took our land we were promised 25 to 30birr [$1.50-$1.80] per day. They are not paying what they are supposed to pay. We are deceived either by our government and/or by Karuturi,” he said. A Karuturi official said the company’s pay rates were in line with national norms. When there is a need for good pasture, pastoralists have traditional techniques to burn the grass and bushes without attacking the forest. But now they are surprised to see a forest burning and farms expanding day by day. “We were told by government that we should preserve the forest and trees, because they give us rain. Now the Indians are burning and bulldozing the forest in broad daylight,” a resident of a village called Ilea told IRIN. “Only a very small portion of the forest is burnt,” Esayas argued. “There might be investors who are cutting forests. We will follow them and take appropriate actions. Previously we have taken some measures on those investors who have damaged the environment in some way,” he said.